Same horses as pictured in yesterday's photo. Beautiful! They do look like they are dancing! Well timed shot. Perfect getimd. Prachtige paarden foto. fav. Great timing for this beautiful capture of the dancing ponies ! Gorgeous shot. They seem very happy together. Lovely - they look like happy horses. 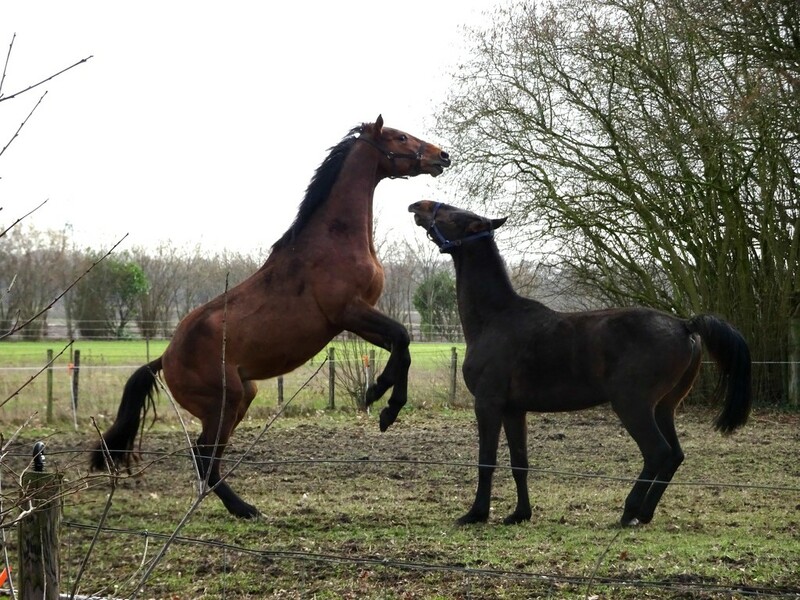 I love to see horses just running or having fun! My friends horses got loose last week and they were running around playing in the new snow! I say they were frolicking. Good timing.